Caveat emptor: The Consumerist reports that counterfeit versions of Alli -- an over-the-counter weight loss drug -- are being sold online. The FDA also warns that "sibutramine is a drug that should not be used in certain patient populations or without physician oversight. Sibutramine can also interact in a harmful way with other medications the consumer may be taking." 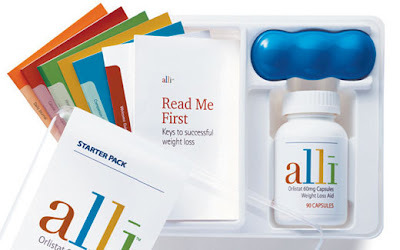 Alli can help you lose weight, but the weight loss likely won't be great — perhaps just a few pounds more than you would lose with diet and exercise alone. Only a small number of studies have evaluated the effectiveness of Alli. And many of the weight-loss estimates are based on studies conducted on its prescription-strength counterpart, Xenical. The average weight loss for prescription-strength Xenical is modest — about 6 pounds greater than diet and exercise alone after one year. So at half the strength, Alli could conceivably result in an average of 3 pounds lost in a year in addition to the approximately 8 pounds you could expect to lose from diet and exercise alone. No contest: I'll gladly take three pounds over a full year of uncontrollable shitting.